6719e,f. Manning, Gordon P., LIFE IN THE COLCHESTER REEF LIGHTHOUSE. by The Shelburne Museum . 1958. 43p. Soft wraps, clean, crisp. Nicely illustrated. Details the life of the Keepers in this Lake Champlain lighthouse. 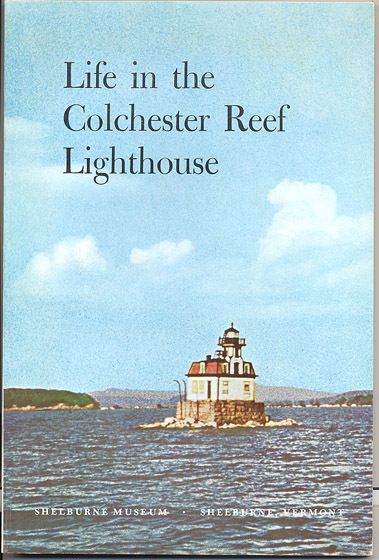 Includes listing of the keepers who served here during its’ 62 years of service, as well as details on the 1952 move of the lighthouse to the Shelburne Museum in Vermont . (VG+). $14. 13212. 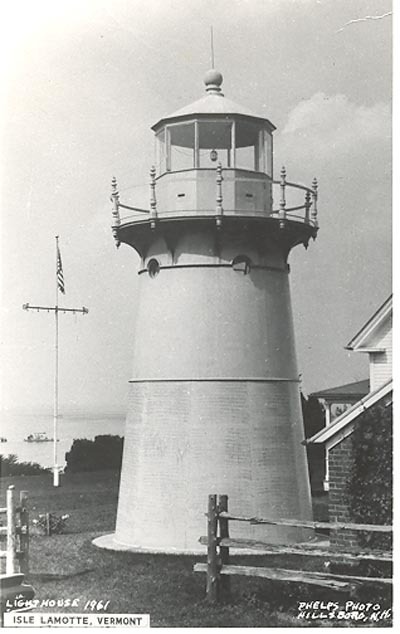 (photo) Isle la Motte Lighthouse, Vermont c.1961. 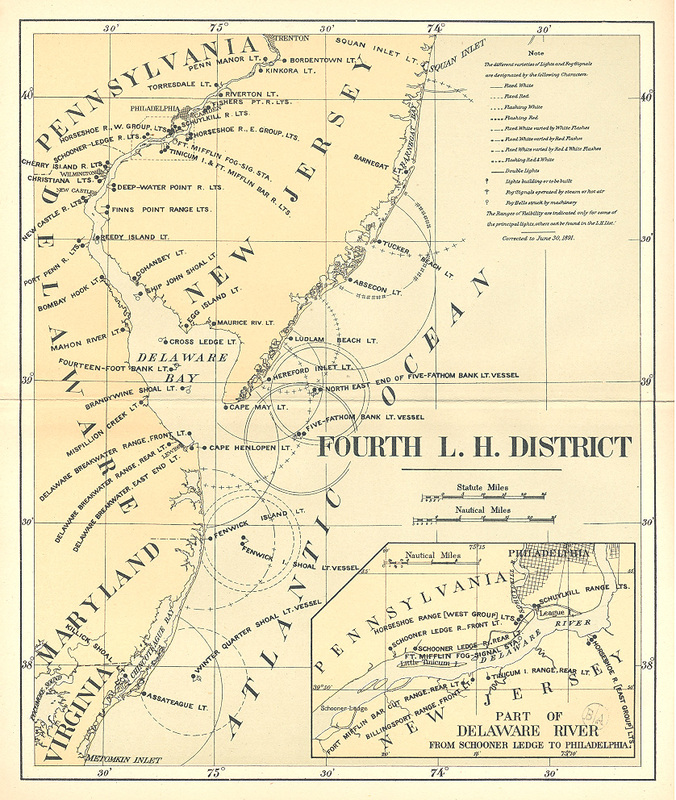 Lake Champlain, bordering New York, Vermont and Quebec, was once a bustling waterway and navigational aids were badly needed. The first light was established at Isle La Motte about 1829. The present 25-foot cast iron light tower shown was built in 1880 and remains today. 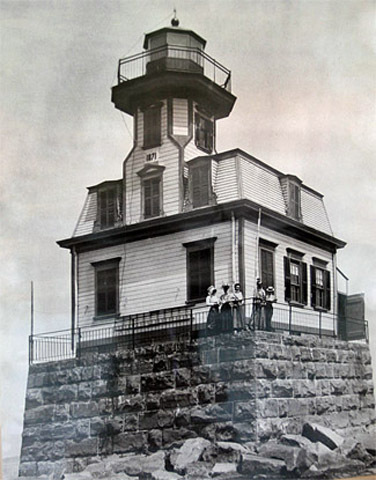 Clear, close view shows the short cast iron light tower beside the keepers house in 1961. Photo measures 3 ½” x 5 ½” on postcard paper. Clean, clear. (VG+). $24. 29307. Cook, David E. The Light-Keepers of Lake Champlain. Mayfield. 2009. 232p. Soft wraps. 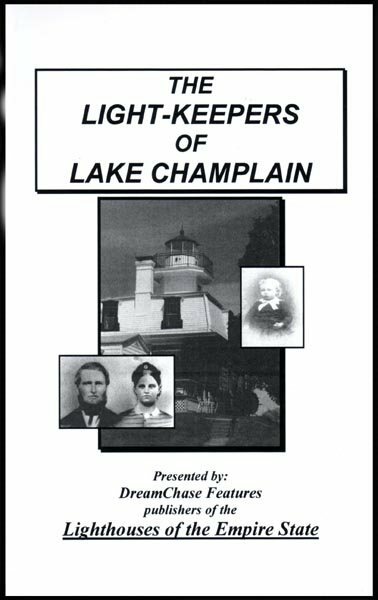 A biographical anthology of at least 146 men and women who maintained the light stations of Lake Champlain before they were all automated, this detailed work is filled with lots of great historical and family history of lighthouse keeping on Lake Champlain's New York and Vermont shorelines. Includes a listing both chronologically and an alphabetical of the lighthouse keepers. In addition to listings of the many keepers over the years, includes a biography of each, stations served and great information about the station and his activities and occurrences there. Illustrated with photos when available. Packed full of information. (M). $16.95. 9407k. Federal Writer’s Project. NEW ENGLAND HURRICANE – A Factual, Pictorial Record. Boston. 1938. 5th. 224p. This book is a factual, pictorial record of the worst disaster that has ever struck New England. Compiled within days of the awful event by the Federal Writers' Project of the WPA, over 500 photographs and text record the wild gale. In September 1938 the hurricane covered 600 miles in 12 hours, one of the fastest moving hurricanes ever reported. There was no warning of the on-rushing storm until the New Jersey coast was struck near Atlantic City. 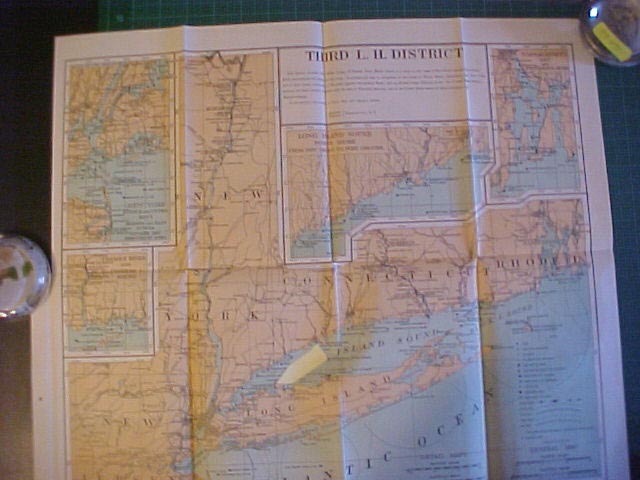 The storm then traveled up the Connecticut valley, and through the heart of Vermont. A graphic look into the damage the sweeping winds and tides brought to the region. 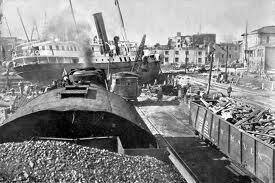 Includes good view of the U.S. Lighthouse Tender Tulip high and dry on the railroad tracks in New London, Conn. The 10” x 7” book is bound in green cloth with red lettering on the spine. 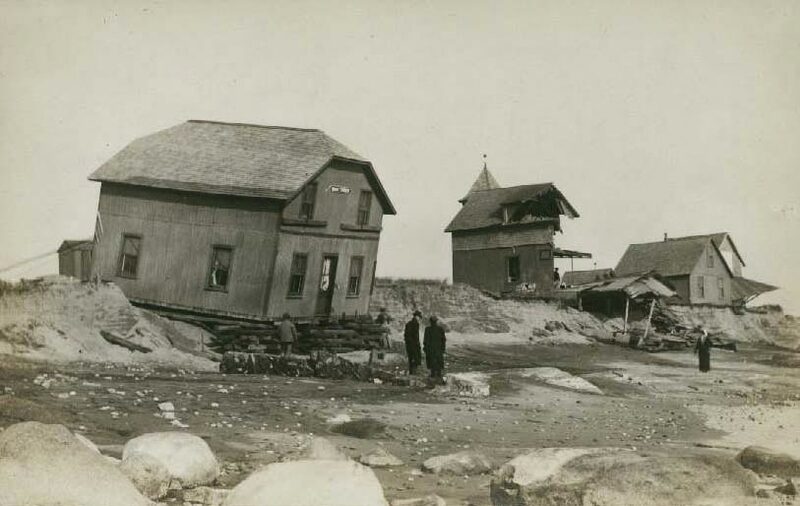 Profusely illustrated with black and white photographs of the devastation caused by the storm, taken by WPA photographers. Light water marks to the covers, light wear and bumping to corners. The rear hinge is cracked and holding, front hinge is intact. The pages have very minor age toning to the edges; otherwise they are clean bright and unmarked. (G+). $28. Page updated April 03, 2014 . All text and illustrations on web site Ó James W. Claflin . 04/03/2014 All rights reserved. Use prohibited without written permission.